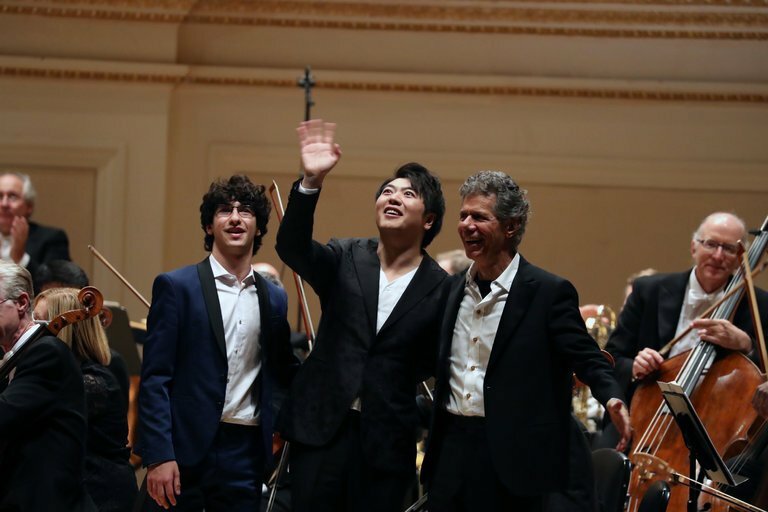 Carnegie Hall’s opening night gala is both a festive concert and an important fund-raiser. Programs typically include some audience favorites or lighter works, which is understandable. The centerpiece of this season’s opening on Wednesday, featuring the Philadelphia Orchestra, was Gershwin’s enduringly popular “Rhapsody in Blue.” But with Carnegie’s blessing, the performers turned this classic into a shameless gimmick. The problems stemmed from the superstar pianist Lang Lang. Last April Mr. Lang announced that he had injured his left arm and would have to withdraw from months of performances.